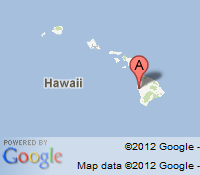 Home \ Blog \ Hawaii flights \ Southwest Airlines flying to Hawaii? Southwest Airlines flying to Hawaii? Southwest Airlines is the main sponsor of the 2017 Global Tourism Summit Hawaii. Once Southwest Airlines starts flying to Hawaii (Honolulu (HNL), Kona (KOA), Maui (OGG)) from San Jose (SJC), Oakland (OAK), Sacramento (SMF), San Diego (SAN), Las Vegas (LAS), Phoenix (PHX) or Los Angeles (LAX) Hawaii Outdoor Guides will welcome Southwest Airlines guests on the popular Oahu Island Tours and the Big Island Volcano Tours. For more information, please visit www.HawaiiOutdoorGuides.com or call 808 937 5472 or 888 886 7060.